Black nylon construction with orange Marble's embroidery and protective insert. Bulk packed. Fits a Marble's Woodcraft fixed blade knife with a 4 1/4" blade. Made in China. 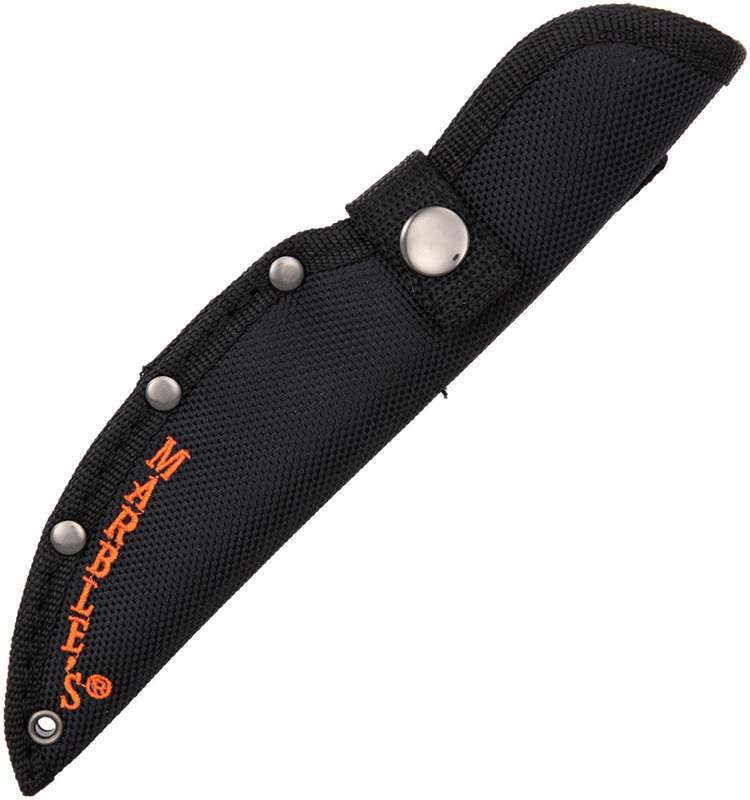 best value in sheaths you can buy. well maid. Strap too short to secure knife in sheath. Was useless. Small cost but I guess one gets what one pays for! Q: what is the width of the sheath?